Just because you have a small lot, there is absolutely no reason why it can’t be the site for a brilliant new home full of big ideas. 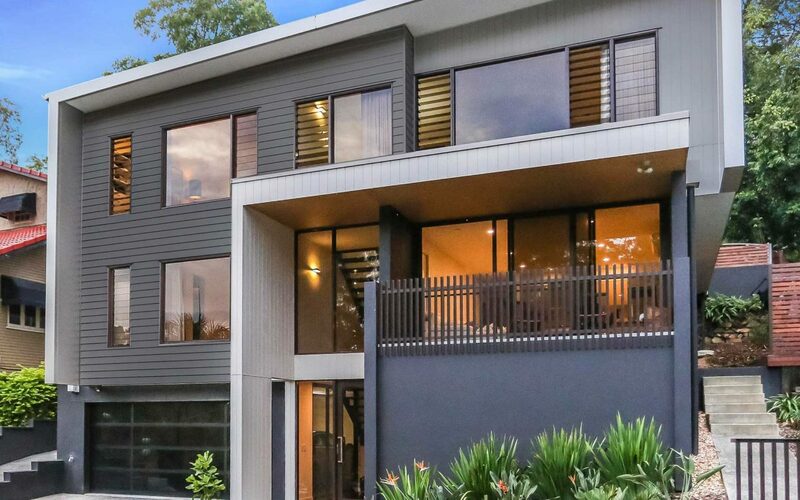 As Southeast Queensland grows and urban density increases, smart home design and the clever use of space has become paramount. With a good inner city builder, small lot design does not mean that a home has to be predictable and cramped. Designs in keeping with the Queensland climate turn small inner city lots into contemporary, functional homes that are deceptively spacious. A focus on natural light and open spaces promoting cross flow ventilation is a benchmark of good sub tropical design. A very popular use of limited space by residential architects and builders is the two-storey void and high raked ceilings. These design features include strategically placed high level glazing to promote the natural light and cross flow ventilation throughout the home. The higher ceilings increase the sense of spaciousness in the home. A smart small lot design allows you the luxury of sitting in a comfortable a room, and enjoying the vista of the outside landscape features. Intimate courtyards and summer rooms, combined with careful positioning of the windows, will create external spaces that are seamlessly connected to daily home life. Through skillful planning this can be achieved without compromising privacy. The feeling of spaciousness can be amplified with the use of open planning, which adds volume when floor area is at a premium. The open plan design provides a heightened sense of space with the lack of internal walls through living areas. Clever use of the space available would include keeping potentially cramped spaces (such as hallways) to a minimum. A smart design might provide access to bedrooms off a TV room hub instead of via a dark hallway. This will make the home feel more spacious than the size would suggest. Whilst still adhering to the Queensland Government Small Lot Design Code, with proper planning and clever design, an innovative inner city builder can transform a small lot into a comfortable and charming home.